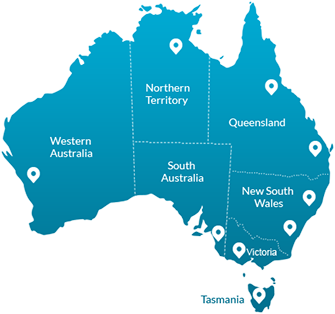 Testel Test and Tag Queensland provides quality electrical testing services to remote, regional and metro areas right across Queensland. At Testel, we put safety first. A Test and Tag service inspects your workplace or home’s electrical system, appliances, devices and fittings to make sure they are not only safe to work with and use in your everyday life, but they also comply with the OHS StandardAS/NZS 3760. Whatever you require, Testel Test and Tag Brisbanehave you covered. We offer a range of services, including the likes of: portable appliance testing, power outlets testing, residual current device testing, emergency and exit light testing, microwave testing and thermal imaging. At Testel Test and Tag Queensland, we pride ourselves on our team’s professional service. All testing technicians are licensed electricians. They know exactly what they’re doing, they are fully experienced in electrical safety, and know the Australian Standard AS 3760:2013 inside out. Apart from electrical testing, the Testel Test and Tag Brisbane branch repairs faulty electrical devices and undertakes tagging and recording. That is, our fully qualified technicians attach a label to the tested item (i.e. tagging), which overviews details of the test that was undertaken and the outcomes. Once this is done, our technicians enter the details into our TES database; so that at any time your business is able to look these details up, print out reports and edit / add information (e.g. add a new item). Our qualified technicians at Testel Test and Tag Queensland undertake the widest range of electrical tests, such as: physical inspections by a highly experienced professional, polarity, earth circuit, continuity, functionality and run / leakage testing, to name a few. Whatever electrical service you require, either by our Testel Test and Tag Brisbane branch or in a rural and remote area of Queensland, please contact us on 1300 881 116 or email us to find out more or to make a booking.